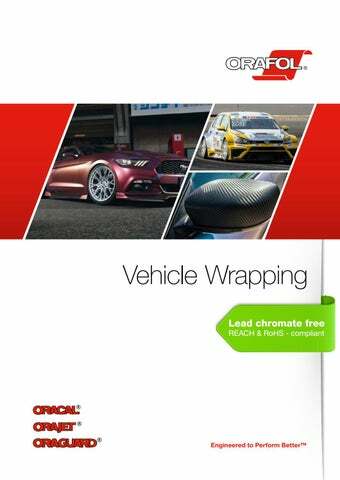 ORACAL® 970 / 970RA Series Premium Wrapping Cast ORACAL® 970 Premium Wrapping Cast series is your ideal wrapping film for solid coloured fleet and motor sport vehicle wraps. Exceptional dimensional stability and conformability over curved surfaces, rivets and corrugations. The material does not require an overlaminate. Product benefits include: · Multi-layered cast PVC film (110 micron) · 96 vivid standard colours · Glossy and matt colours available · Super matt available in black · Large range of metallic colours · Excellent dimensional stability and gloss retention · The adhesive is a solvent polyacrylate adhesive. It is repositionable, permanent and transparent. RA product benefits also include: · The RapidAir® technology allows a rapid and bubble-free application and thus requires less application time and cost Note: The product should be worked in, cut and applied with an overlap at the edge, for more curved surfaces, or for corrugations and rivets. The exciting variation of the classic ORACAL® 970 series - with a colour shifting effect depending on which angle you view the material from. Product benefits include: · Unique shade shifting effect where the colour changes depending on viewing angle · Multi-layered cast PVC film (110 micron) · Glossy and matt colours available · All the same product benefits as the classic ORACAL® 970 series above. · 970RA: RapidAir® technology allows a rapid and bubble-free application and thus requires less application time and cost. ORAJET® 3951RA+ ProSlide ORAJET® 3951RA+ ProSlide Premium Digital Printing Cast PVC is the new and upgraded car wrapping option for printed full wraps. The RapidAir® technology makes application even easier! The new ProSlide technology enables an easy and quick application due to its improved repositionability. Product benefits include: · Premium Cast PVC film (55 micron) · Available in white with a glossy surface · Inkjet printing wtih solvent based inks, UV- or latex inks · Extreme durability and brilliancy · The adhesive is a grey-coloured solvent polyacrylate adhesive. It is repositionable with permanent adhesion. ORAJET® 3981RA+ ProSlide ORAJET ® 3981RA+ ProSlide Premium Digital Printing PU is the environmentally friendly alternative when it comes to car wrapping. The new ProSlide technology enables an easy and quick application due to its improved repositionability. Product benefits include: · Premium PU high-performance film (50 micron) · Available in white with a glossy surface · Inkjet printing with solvent based inks, UV- or latex inks · Extreme durability and brilliancy · The adhesive is a grey-coloured solvent polyacrylate adhesive. It is repositionable with permanent adhesion. · Lamination film: We recommend the PVC-free and plasticiser-free ORAGUARD® 289F. Note: The product should be worked in, cut and applied with an overlap at the edge, for more curved surfaces, or for corrugations and rivets. Laminating Films To ensure the long-term durability of your printed ORAJET® car wrapping films, we recommend lamination with the ORAGUARD® Series. · Adhesive is transparent, solvent polyacrylate, permanent · Highly recommended for use in combination with the PVC- and plasticiser-free ORAJET® 3981RA. Stone Guard Films The ORAGUARD® Stone Guard Series is the ideal choice for the paint protection of flat or moderately curved surfaces, where more rugged protection is required. This series is the ideal protection of vehicle body parts against stone chipping and other mechanical forces. *) Service life when applied by a specialist, and usage under vertical outdoor exposure (normal climate of Central Europe). **) The release material of this product is a 100 µm polyester film. Each item in the kit is also available for purchase separately (in batches of 4). Developed for complete car wrapping. Developed for complete car wrapping. The RapidAir ® technology enables easy and quick application, without air inclusion. Developed for decorative surface refinement on cars. Especially created for highlighting vehicle parts - the ideal tuning film. Developed for decorative surface refinement on cars. The RapidAir ® technology enables easy and quick application, without air inclusion. Developed for complete car wrapping. The RapidAir® technology enables easy and quick application, without air inclusion. The new ProSlide technology enables an easy and quick application due to its improved repositionability. Developed for complete car wrapping with printed designs. Developed for complete car wrapping. Environmentally friendly option. The RapidAir® technology enables easy and quick application, without air inclusion. The new ProSlide technology enables an easy and quick application due to its improved repositionability. *) ORAGUARD® 290F and 293F are covered with a release material consisting of a 36 micron polyester film. All products above come with a 2 year shelf life in original packaging at 20° C and 50% relative humidity. STANDARD SPLICE-FREE. The statements in this information sheet are based upon our knowledge and practical experience. The data is intended only as a source of information and is given without any guarantee and does not constitute a warranty. 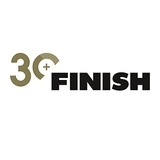 Due to the wide variety of possible uses and applications, customers should independently determine the suitability of this material for their specific purpose, prior to use. For the protection of large-format indoor and outdoor graphic applications. Recommended in combination with the PVC- and plasticiser free ORAJET® 3981RA. For application as a stone chipping protection film on vehicle body parts such as bumper, rear bumper deck or side skirt etc. All products above come with a 2 year shelf life in original packaging at 20° C and 50% relative humidity. STANDARD SPLICE-FREE.